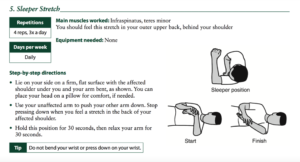 One of the main reasons patients visit the office is for shoulder pain. 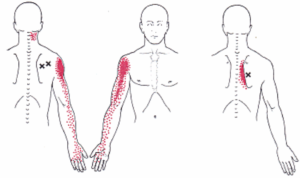 Shoulder pain can feel deep and be achy or sharp in quality. It’s sometimes associated with weakness or limits of range of motion. The patient can feel like its radiating from the neck or upper back and can feel like it radiates to the arm or down into the hand. 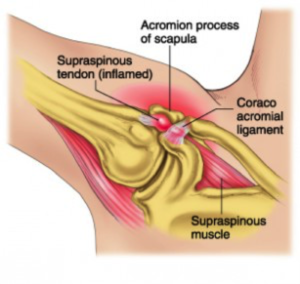 Overhead activity or crossed arm activity usually aggravates this pain and is because the ball (humeral head) compresses the rotator cuff tendons and bursa against the acromion bone above the ball. 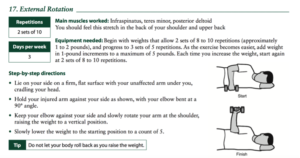 Other muscles attempt to stabilize the shoulder and are strained/overworked in the process. 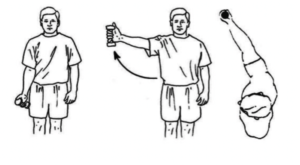 The reason this occurs is the shoulder joint stabilizing muscles ie the rotator cuff muscles have deconditioning or become overtaxed allowing the ball to elevate and mobilize away from the socket (from the larger muscles ie deltoid and pectoris). The upper trapezius is often involved and attempts to raise the acromion to allow for more space – so overworked trapezius muscles can cause pain/spasm in the trap and lower neck. 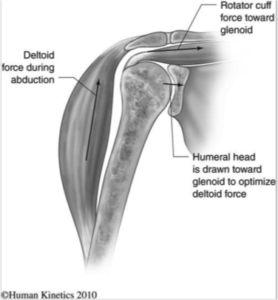 Note that the deltoid is a larger muscle and will elevate the humeral head if the rotator cuff muscles are not firing. 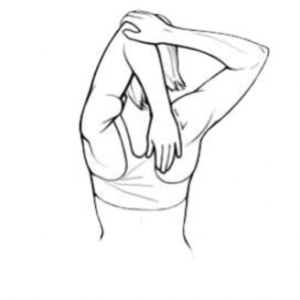 This is sometimes described as “impingement” syndrome. There are some surgeons who believe that bone spurs or bone calcifications are the source of this problem however new evidence suggests that an arthroscopic decompression does little to benefit these patients. The ‘bone spur’ has been there awhile and is not the cause of the patients pain, rather it’s the mild destabilization of the shoulder caused by overworked or deconditioned rotator cuff. 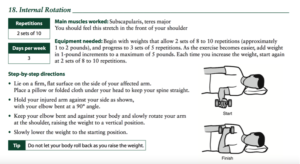 Shoulder unstable due to muscle weakness.